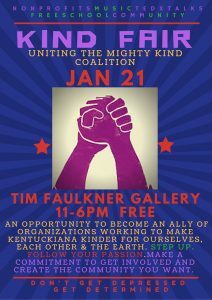 Come see Louisville Books to Prisoners at the Kind Fair Saturday. Enjoy presentations, meet community leaders, and chat with us about our project. We will have info and Books and zines for sale to raise funds.